"All my growing up, all I ever wanted was to make my Mom happy. And here... her happiness and mine collided in a most beautiful moment of joy and grace." I confess. I got a little sniffly when I read that line. Just lovely, Dawn. Thanks so much for linking up today! Oh, How sweet is that last picture! Oh Dawn... That last picture, love it! This is so special...the memory, the photos, your words. Precious memory. You shared it so beautifully. 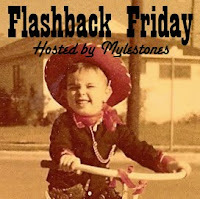 I just love this Flashback Friday idea. 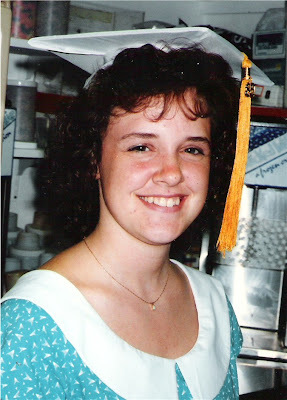 I so enjoy reading your remembrances and seeing the photos. I would love to be part of this. Hopefully it will still be going when I get up north where most of my old photgraphs are. Maybe I'll "informally" join in! you are SO beautiful on the inside-out! then and now! I'm a sucker for sentimental memories and pictures. These brought tears to my eyes. I think you have a special mom. Which may be one reason that you ARE such a special mom. 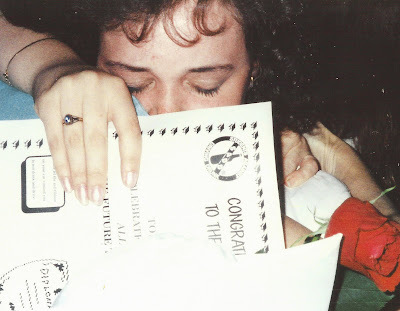 Can you believe it's been twenty years? My gosh, I'm coming up on THIRTY years next year. How on earth did that happen? ?